← What’s this strange feeling? Our spare room has always annoyed me. It was originally designed as a garage, although the first owners 25 years ago had no car so it was built as a reception room. They had it as a dining room three steps down from the living room, then the guy we bought the house from put up a partition wall and made it a bedroom. The only thing is, he left the steps and just stuck up some shelves. 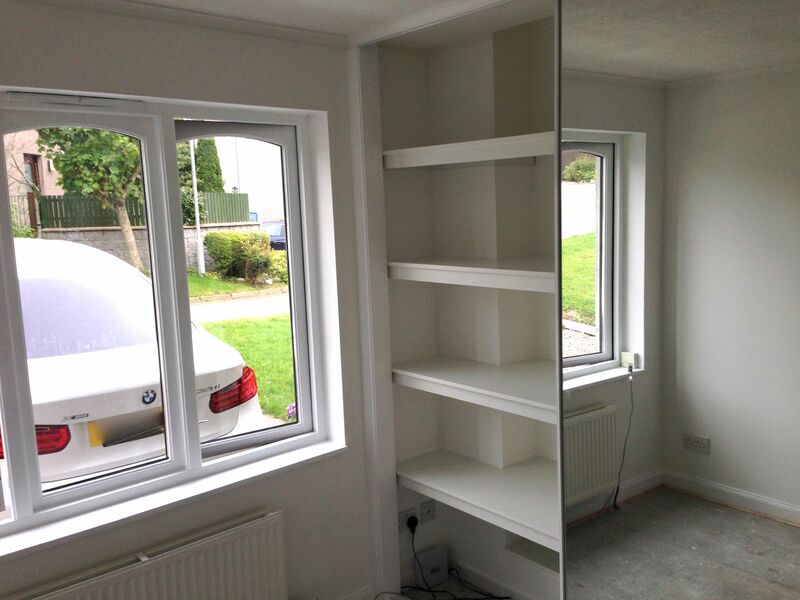 It always felt a bit unfinished, but was a perfectly usable spare room after a coat of paint. As a baby’s room though, we knew it needed some TLC. Finding a joiner in Aberdeen was my first challenge – the first guy came round, spent half an hour advising me – and then never even sent through a quote! Two others scared the beejesus out of me with their figures – and then I found Zsolt. He was recommended by my accountant, who told me he submitted the tidiest books she’d ever seen, so that was a good omen. His quote was very reasonable, he was pleasant, he called and arrived when he said he would, so we were happy to give him the job – and what a gem he turned out to be! 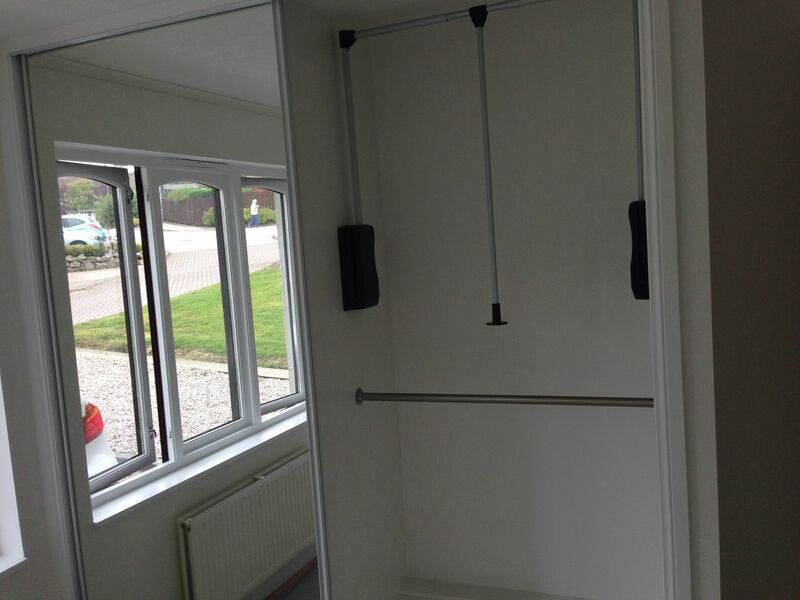 Reliable, tidy, and a real perfectionist – I am absolutely delighted with the work he and his assistant carried out. 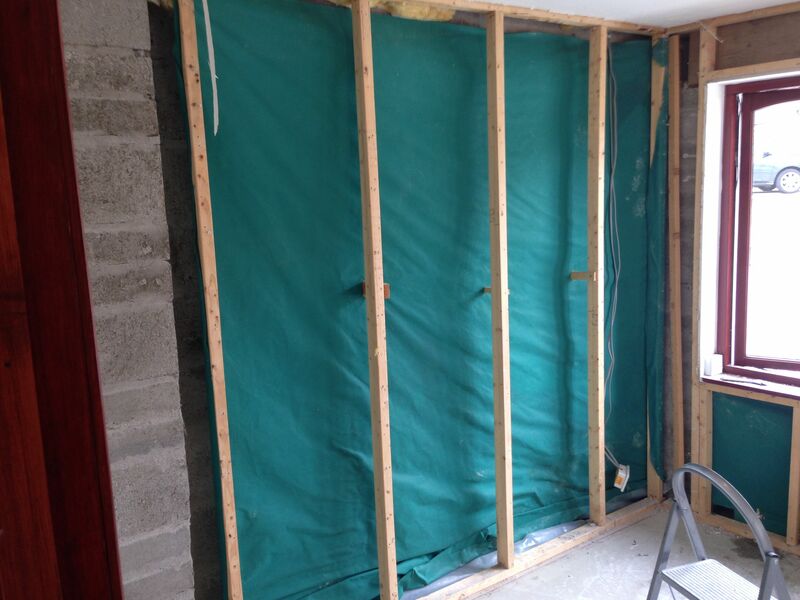 They pulled back two walls where, as we suspected, we found the insulation was completely inadequate and showing signs of mould. An unexpected concrete column didn’t allow any space for insulation, hence the draft and condensation we always found in that corner. 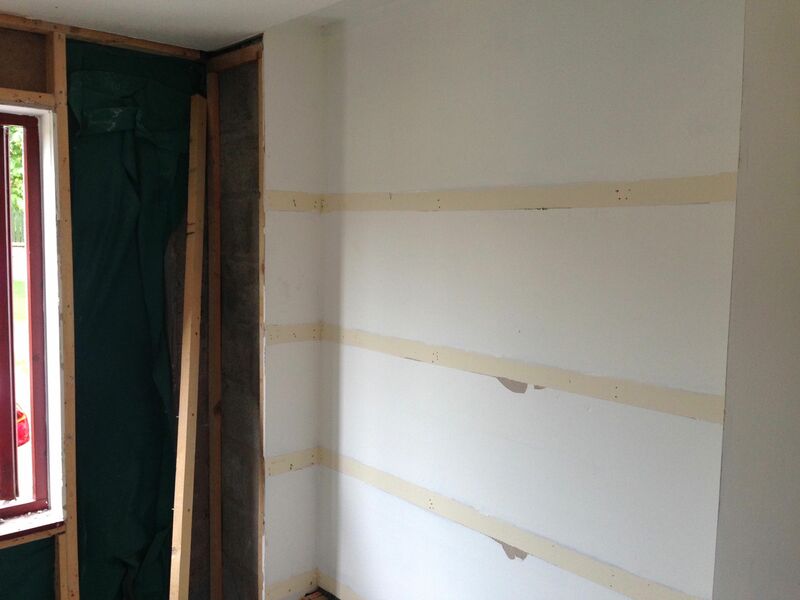 Zsolt built the wall out two inches to allow him to insulate around it, then put up new plasterboard and taped and filled it – no need for plaster and the three-day-drying-out period. 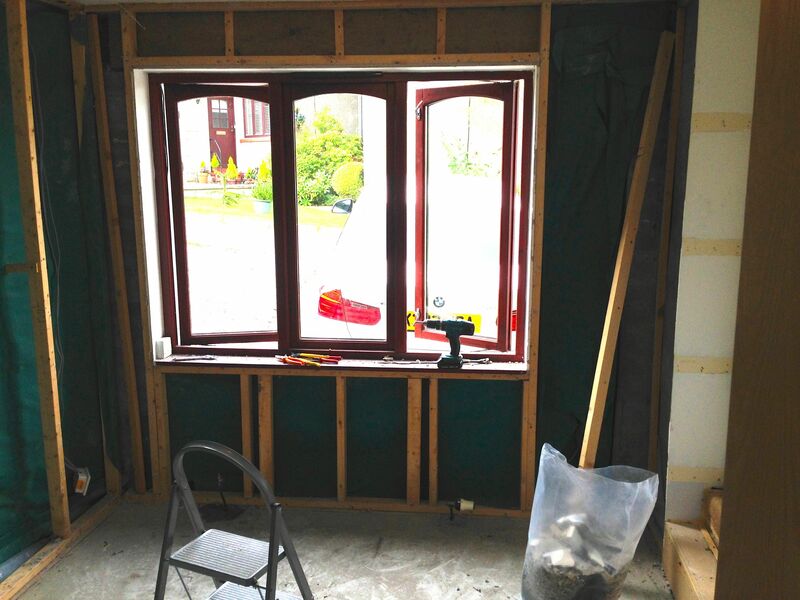 Insulation around the window was also woeful – I’m so glad we fixed it! 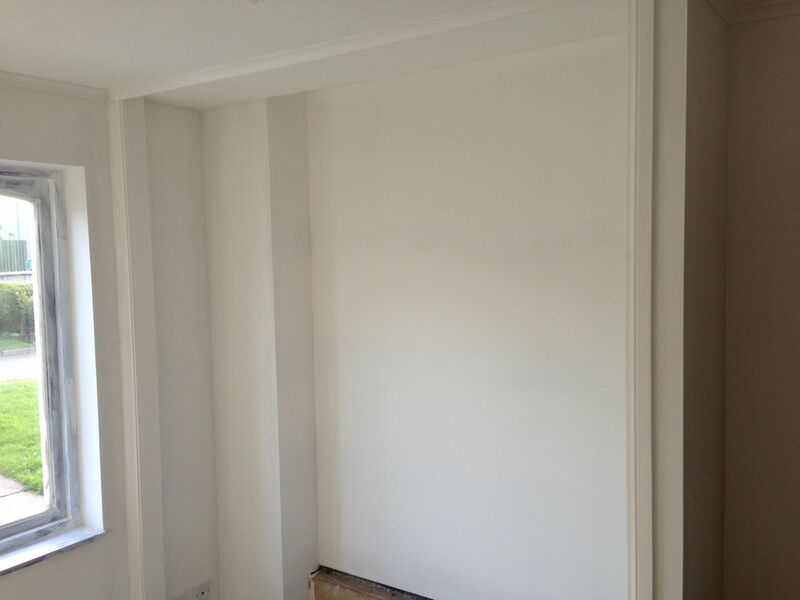 To finish off a great job, they painted the whole room white, including all the woodwork around the window and the skirtings and then, because he had half an hour before he had to leave, Zsolt went round all the doors in my house adjusting hinges and shaving bases so that they all now close silently. Did I hit the jackpot or what? It was the least I could do to hand him a cheque before he left. As a self-employed person myself I reckon prompt payment is the best way to show your appreciation for a job well done. I am also going to keep in touch so that in the new year, when he finishes a big restoration project, I can get him some press coverage and redesign his website. Rod and I are also now seriously considering building an extension rather than moving – if Zsolt is in charge, it will be a work of art. The carpet arrived yesterday, the new single bed is coming tomorrow and a blackout blind is being fitted next week. We’ll build the cot and put up some pictures, fill the wardrobe with all the freshly washed and folded baby clothes and see if we can even fit the rocking chair in. I’m due in three weeks – and I’m more excited than ever to spend lots of time in my beautiful new room. 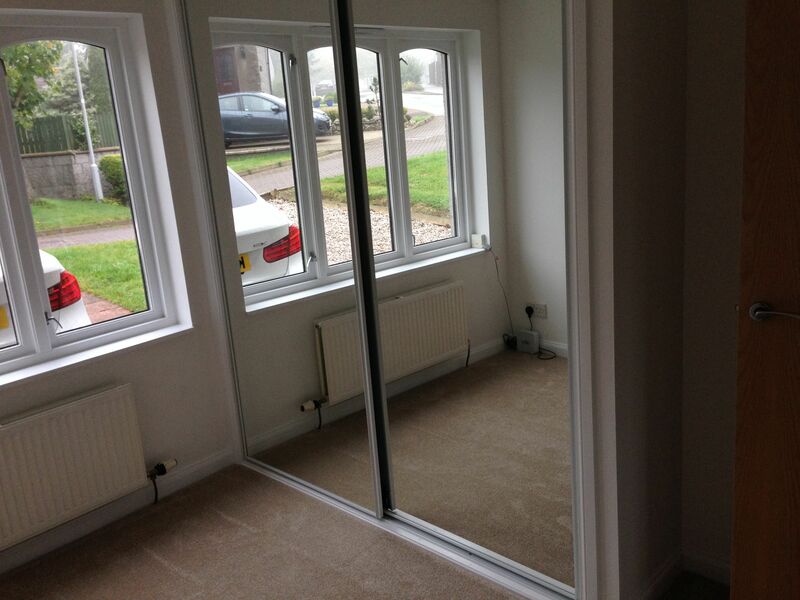 Complete with new carpet – just some furniture and a blind to come and we’re ready for you, baby!